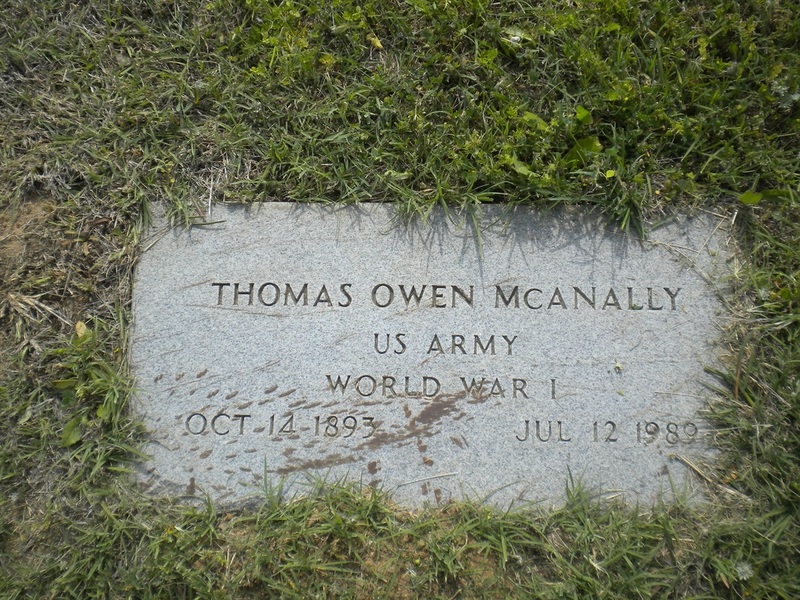 Thomas Owen McAnally of the Upper Denton Road is fast approaching 95, but his outlook on life and sense of humor are much younger. 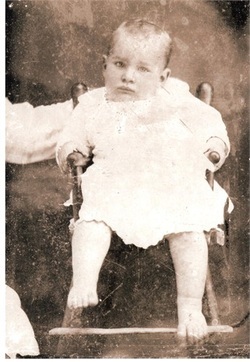 Born in the Veal Station Community on October 14, 1893, he was the second of four children for John Roger McAnally and Margaret Samantha Kutch. 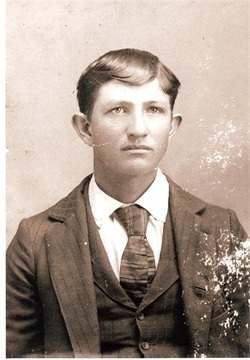 His father came from Tennessee: his mother was a native Parker Countian. Tom’s birthplace was one half mile from where he now lives. For a time after he got out of school, he worked for the Railway Mail Service. His first route was from Sweetwater to Big Spring; his next from Chickasha, Oklahoma to “some where in Kansas”. In 1918 Tom was drafted into the Army. He was stationed at San Antonio for 30 days, then sent to Macon, Georgia, where he received most of his training. Long Island, New York was his next address. He missed overseas duty, since he was in the hospital with the flu when his unit shipped out. “I was very disappointed at being left behind,” he remembers. “All my friends went. When he had recovered sufficiently, he was assigned to the 31st Division, 62nd Battalion, 124 Infantry, which was called the “Double-time Outfit.” Some of his outfit were sent overseas after Armistice to handle discharges. Guess who didn’t get to go – Tom. He had the mumps. He was discharged in 1919 at Fort Lee, Virginia. On August 15, 1920, Tom married his former schoolmate, Clota Vaughan, at her home in Arlington. For years she taught in Parker County Schools. Tom was back on the farm at the time of their marriage. “Before we got married, I planted a big cotton crop, intending to use the money to marry and set up housekeeping. Boll weevils had other plans for my cotton. I was expecting about 20 bales from that crop, but only made half a bale. After unloading his wheat, he’d take his team to the wagon yard, feed them, and head home. That night he’d load up again, to be ready for an early start in Weatherford the next morning. 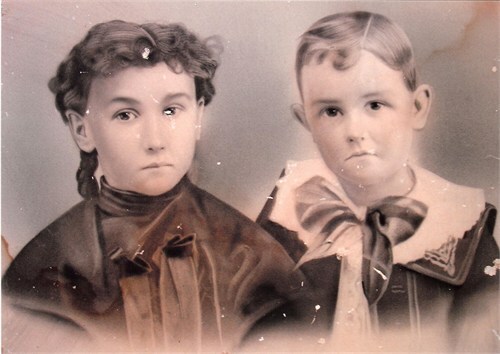 Tom and Clota had three children; Jean (Morris), Roger, and Charles. All live in the Weatherford area. 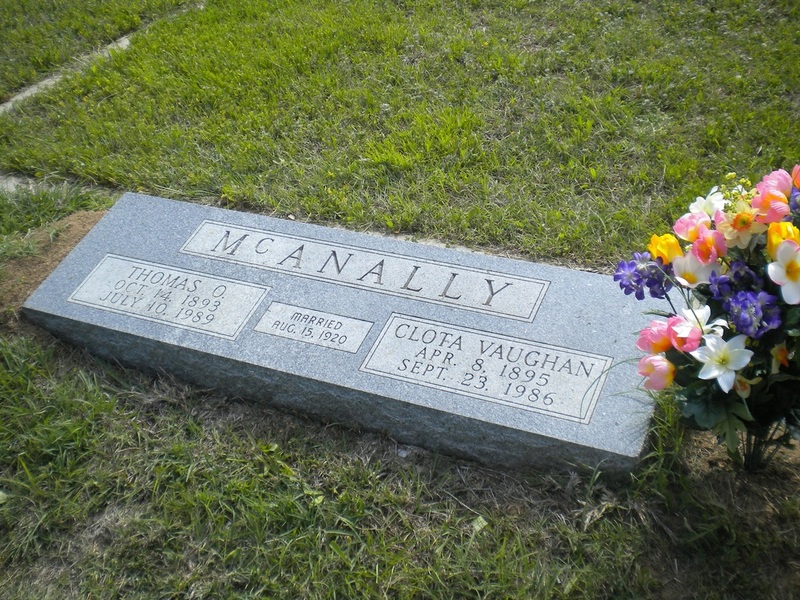 The McAnally’s had been married sixty-six years when Clota died in 1986. Farming has been his life. “I’ve been on this same place most of the time since 1896,” he recalled. Except for Sunday meals with his children, he does his own cooking. “I can fix some things,” he said, “but I’m not good at it. My mother was a good cook; my wife was an excellent cook; but somehow I never quite got the hang of it.” You won’t catch him warming a TV dinner, however. He cooks having a sweet tooth. “If it has sugar in it, I like it, especially anything called pie." Tom attended Godfrey’s Chapel Church for many years until memberships dwindled to three or four families, at which time they all came to Couts Memorial Methodist. Because of a hearing problem, he now attends church in front of his TV. “But they can’t prove it,” he said with a grin on his face.